Vintage ca. 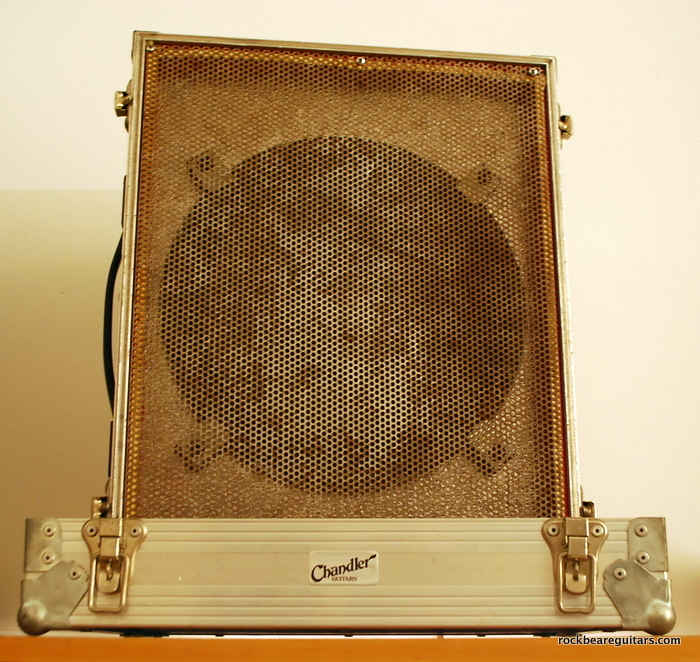 ’89 12-inch Electrovoice EV12L speakers in open-backed flightcases fabricated for Chandler Guitars at that time. EV’s are pretty much the hifi guitar speaker of choice, massive headroom and range but hard to break up short of ear-shattering volumes. The steel mesh fronts have oxidised slightly over time and look a bit shabby so I must get them refinished, but they sound awesome.